Marie-Amélie explains the inspiration behind the Edinburgh Power of Food Festival and the transformational nature of community food growing. Her belief in the unifying power of food in connecting us to nature and one another encourages us to think differently about how we can use local green spaces, reconsider our relationship with food, and to think of community food growing as a powerful force for social change. When I was a child, my family used to sit down around the table three times a day to eat together. Despite my parents’ demanding jobs and everyone’s busy schedules, we have always, to this day, made eating together a priority. At mealtimes, I listened to my mum and dad discussing work and the news; while it often didn’t mean much to me, it gave me an awareness of what was going on in their world and a sense of belonging. I also helped with the weekly food shop and with laying the table, but I never learned to cook. When I left home, age 17, I remember a family friend asking: “How are you going to manage on your own? You don’t know how to cook!”. This had never occurred to me and indeed, never turned out to be an issue. I’d seen how to choose quality ingredients, I’d watch others operate magic in the kitchen, I heard lots about not wasting food and about those who were less fortunate than I was, and, without nagging us, my mum had always told us about the importance of a varied and balanced diet. Without even realising it at the time, I grew up with a deep sense of what food is all about, it was in my bones and instinctive. Fast-forward 20 years… by now my childhood experiences have been reinforced by a career focused on environmental sustainability and social issues. My early sense of food has become an acute awareness that food is at the crossroads of so many of the major challenges the world faces: from climate change, to the widening gap between ‘the haves’ and ‘the have nots’; from rising concerns around so-called ‘nature deficit disorder’ to the obesity epidemic; from tensions in North-South relations, to the evidence of increasing social isolation. By reconnecting with food, giving it pride of place at the centre of our lives, and paying a lot more attention to how it’s produced, processed, distributed, sold, prepared, and enjoyed, I firmly believe we can start to address many of the issues of the 21st century. Over the last 10 years or so, we have seen an inspiring number of community food growing groups spring up all over the country. People have started to dig the ground in their local schools, libraries, hospitals, council estates, shared greens or wherever they could, and have come together to transform the physical environment and the lives of people in their community. They have turned boring patches of grass into beautiful productive green spaces, have had fun getting their hands dirty, they have watched the seasons go by, the birds come and go, together they have seen the fruit of their efforts grow, they have learned from one another, they have made new friends and have enjoyed eating together. 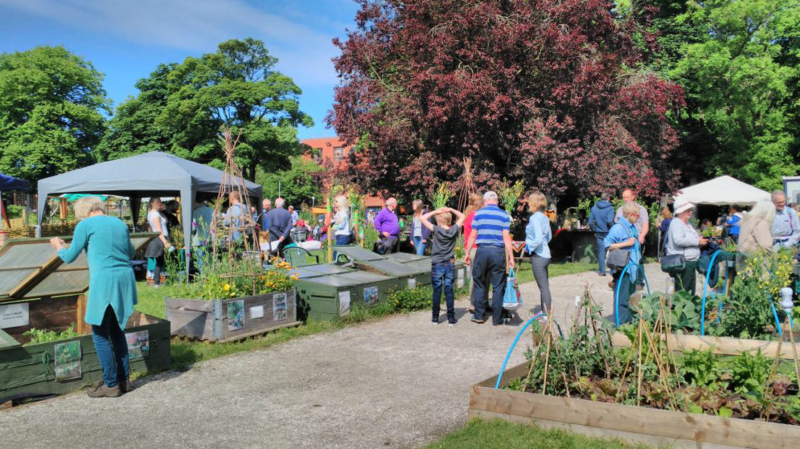 These shared gardens offer the opportunity for positive collective action, they provide a welcoming and relaxing green space, a new focal point in communities where, in some cases, there is nowhere else to go and meet people. It would be easy to romanticise and think all is rosy in the garden. For sure, there’s lots to showcase and celebrate and as we do so, we must remember that these community food gardens only exist thanks to the huge commitment of people who give their skills, time, energy and love to nurture these special places and all the lives that gravitate around them. Like growing food, growing a community spirit requires patience and resilience. It’s a fragile process that does not do well under pressure. It favours an organic approach where diversity is key and everyone, whatever their story, can feel valued as a human being, find a niche and (re)invent themselves. I realised that all this was happening mostly unnoticed. The community growers’ fabulous work, their ability to keep going, sometimes against the odds, their generosity of spirit and ability to change lives, is truly inspirational; I felt their stories had to be shared and celebrated and the idea of The Power of Food Festival was born. 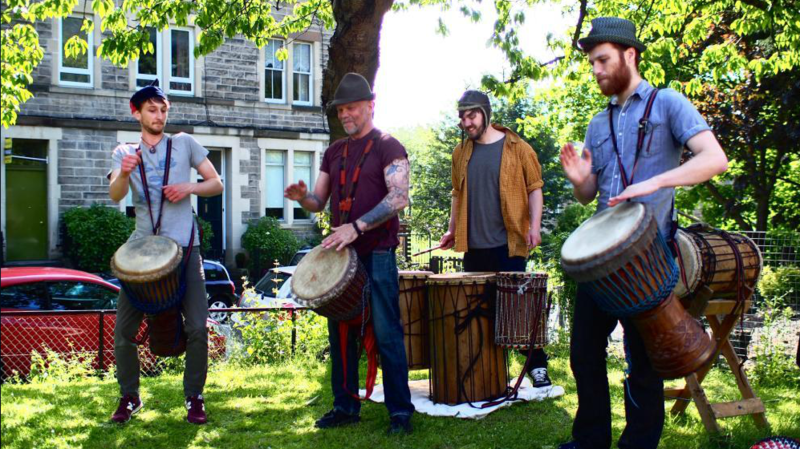 At the height of the growing season, on the summer solstice weekend, community food gardens all around Edinburgh fling open their gates and invite the public to come in and discover something beautiful they didn’t imagine existed on their doorstep. The journey from lightbulb moment to the first edition of the Power of Food Festival in 2015 was very quick and couldn’t have happened without everyone rallying around the idea so enthusiastically. It was a humbling experience. Lots of people wanted to be part of it, whether or not they were involved in community food growing. We’d struck a chord; our vision spoke to people. We had a great range of folk contributing their talent freely to make the event rich in fun and entertaining for all: from storytelling to food-themed poetry making, from wind bands and community choir to African dancing, from bike-powered smoothie-making to insect safari, and of course quite a lot of yummy food along the way—including a delicious meal cooked from scratch and served to 60 people. We want the Festival to be highly inclusive and accessible. One of the ways we do that is by making it entirely free. We’ve also teamed up with Sustrans, the cycling charity, who have led a cycle tour of the Festival. Yes, despite some initial doubts that we could do it, it was really happening! The Power of Food Festival has now enjoyed its second successful edition and we are already thinking about 2017. So far, 26 gardens have taken part, dozens of volunteers have given their time and taken pride in the result of their efforts, and over 1000 visitors have had their eyes opened to something wonderful and exciting. The Festival has also started to attract a strong following through social media that extends all the way to the Philippines! 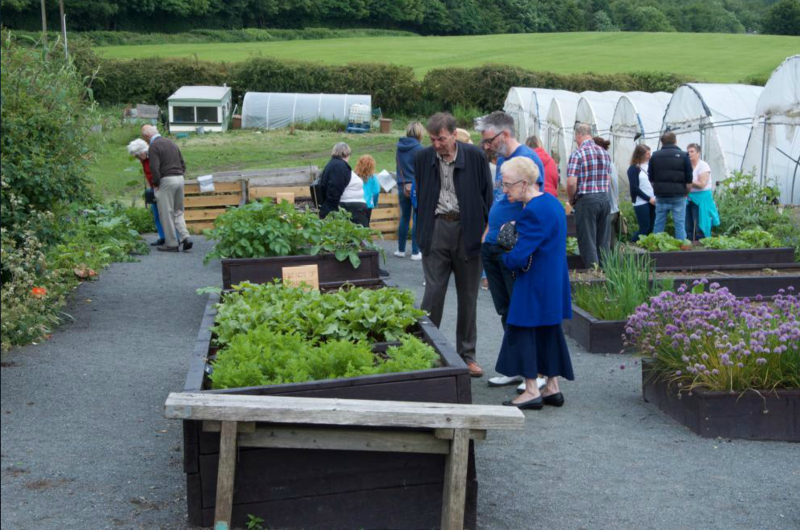 Edinburgh is one of many places where community food gardens have multiplied and we very much believe there is scope to replicate what we do in lots of other places and maybe one day create a global celebration. In fact, early signs are that some people in other parts of the UK have been inspired by the Power of Food Festival and are turning their mind to starting a version of their own where they live! Founder of The Power of Food Festival: http://poweroffoodfestival.wordpress.com/. Join the food revolution and start your own community garden or food festival. Find some inspiration here. Like growing food, growing a community spirit requires patience and resilience.